Stranahan, Stranahan & Cline serves businesses and individuals in a wide spectrum of business and commercial matters. 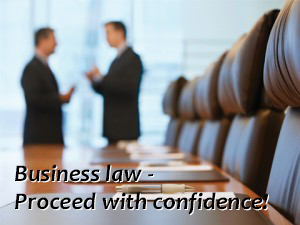 We can provide consultation on business issues confronting corporations, partnerships and limited liability companies. Whether your business concerns involve organization of a local business or complex legal issues,Stranahan, Stranahan & Cline provides comprehensive and cost-effective legal services to a variety of business entities and individuals. Stranahan, Stranahan & Cline recognizes that business decisions are made by business leaders. We help those leaders recognize the legal issues and options so that they can make the right business decision for their organization. The firm provides assistance regarding selection of the form of business entity, organizational and operational issues, the sale and purchase of existing businesses, and employment issues. Stranahan, Stranahan & Cline regularly engages in the negotiation of business deals as well as contract drafting and interpretation. Our firm also handles tax assessment appeals for businesses and clubs. Of course, we can provide representation in business litigation in all state and federal courts in Pennsylvania. Unlike some large law firms, we are small enough to give you personal attention.